Thousands of people took refuge in relief camps as torrential monsoon rains flooded parts of southern Indian state of Tamil Nadu, killing at least 12 people this week, the government said Saturday. Schools in Chennai, the state capital, and other coastal towns have been closed with the weather office warning of intermittent heavy rains this weekend. 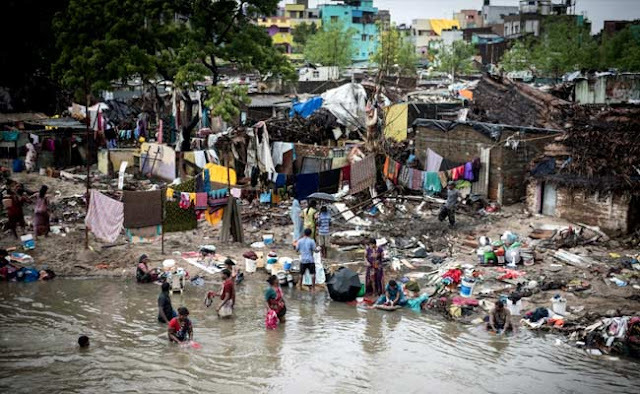 A government statement said over 10,000 people were living in 105 state-run relief camps as rains flooded low-lying areas in Chennai and its suburbs on Thursday and Friday. The northeast monsoon season in the region set in on Oct. 27 and is expected to last until early December. Nearly 74 percent of the rainfall expected during the entire season was recorded in the first week, the state meteorological department said. Chennai received over 11 inches of rain in the past three days, raising fears of a repeat of the 2015 deluge in which 150 people died. More than 10,000 fishermen stayed in port Saturday as the sea remained very rough with waves rising to several feet. The state's top elected official, K. Palaniswami, visited several flooded parts of the city on Friday and distributed food packets, clothes, mats and bed sheets to flood victims, the statement said.